http://www.corbettreport.com/mp3/2015-03-19%20Tim%20Ball.mp3 Dr. Tim Ball of DrTimBall.com joins us again to continue our ongoing exploration of geography, climate and politics. In this conversation we explore 20th century geopolitical theories and theorists, from Ratzel’s Lebensraum to Mackinder’s “Heartland” to Spykman’s “Rimland” to Cohen’s “Divided World.” We also explore the rise of NATO in the mid-20th century and the role of the BRICS in shaping the world of the 21st. 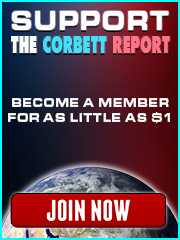 http://www.corbettreport.com/mp3/2014-12-03%20Fairdinkum%20Radio.mp3 James joins Leon Pittard of Fairdinkum Radio to discuss Russia and China in the New World Order. Topics addressed include the “secret deal” on the MH17 investigation; Ukraine’s missing gold reserves; the end of the South Stream pipeline; China’s involvement in the South China Sea; the role of BRICS in the drive towards globalization; and much more. Interview 972 – Financial Survival: Central Asia, Graveyard of Empires? http://www.corbettreport.com/mp3/2014-12-04%20Financial%20Survival.mp3 This week on Financial Survival, James and Alfred discuss the strife, conflict and geostrategy in Central Asia. Is it random violence, or part of a plan? Why does the US want to dominate the region, and can they survive the Afghan graveyard of empires? Is war inevitable or merely a useful tool for the powers that shouldn’t be? Find out this and much more in this week’s lively discussion. http://www.corbettreport.com/mp3/2014-11-30%20Tjeerd%20Andringa.mp3 Dr. Tjeerd Andringa of GeopoliticsAndCognition.com joins us to discuss a question James posed in the last subscriber video: are conspiracy theories falsifiable? We discuss Karl Popper’s famous “falsification” criteria for the demarcation of science and its potential applicability to geopolitical events. Dr. Andringa also details an approach for how to proceed in developing resilient hypotheses in an unstable, chaotic and non-closed system like global geopolitics. http://www.corbettreport.com/mp3/2014-11-29%20Groningen%20Roundtable.mp3 On his tour of the Netherlands James talks with a group of students from the University of Groningen about their course examining the challenges of modern society and the concept of collaborative learning. We discuss the latest episode of The Corbett Report on “China and the New World Order” as well as the alt media and hierarchical structures of control. 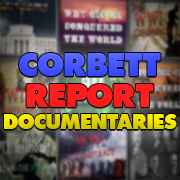 http://www.corbettreport.com/mp3/2014-11-05%20Caravan%20To%20Midnight.mp3 James Corbett joins John B. Wells on Caravan To Midnight to discuss his documentary, “Century of Enslavement: The History of the Federal Reserve.” Topics discussed include the history and function of the Federal Reserve, how the Fed can be supplanted, and how the current petrodollar paradigm is maintained at the barrel of a gun. We also discuss Japan’s relationship to the US and China and the ongoing situation at Fukushima. http://www.corbettreport.com/mp3/2014-09-10%20Our%20Troubled%20Times.mp3 In this episode we speak with James Corbett of CorbettReport.com about how the West is creating and funding its own enemies abroad. We discussed in this program how Russia has been backed into a position where it must unite with its neighbors politically, with others in the BRICS nations economically, and China militarily in an effort to counteract NATO/US/EU encroachment into Russia’s sphere of influence. We also speak about how western intelligence agencies have created, funded, and propagandized on behalf of ISIS, again, creating another external threat. Finally we comment on the protests in Ferguson and how the media and police are exacerbating the problem. Join us as we discuss the major issues of the world today.